"I simply loved this store! I like to this of myself as a reasonable person and when I got engaged I simply refused believe that I MUST spend thousands of dollars on a wedding dress or have to SETTLE for a mediocre dress. I stumbled on this store's website by accident, and am I ever glad that I did! It was the third store I went to and it was a much greater experience than I got a "traditional" bridal store. I must say that my sister (maid of honor) was really not for the idea of a "used" wedding gown, but (as it is my wedding) I simply dragged her along! They had a large number of dresses in my size in a variety of styles. I must have spent close to two hours in this store on a Saturday (right before closing), the sales lady was INCREDIBLY nice and helpful, she was not at all pushy and seemed to really enjoy what she does (to the point where I didn't even know I was keeping her past closing time)! I think I must have tried on 10 or more dresses and (to my sister's surprise) none of them were actually "used" gowns. I ended up finding a beautiful dress, that I am simply in-love with! It is in perfect condition (clean, pressed, etc.). Much better than what I had tried on at other stores and less than half the price! 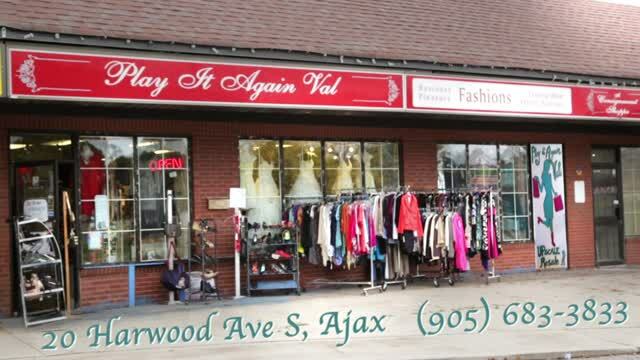 I would recommend this store to anyone looking for a gown on a reasonable budget. The staff at this store is amazing! And the experience was extremely pleasant." "This store has absolutely incredible energy! Make this your first stop if you're looking for a wedding gown on a budget. Dianne is incredibly helpful and enthusiastic! It was exactly the experience I was hoping for: professional, but laid back!"